As Managing Director, Mike DiNorscia is focused on identifying opportunities and adding value to Sweet 100’s current restaurant holdings. As an experienced business analyst and investment professional, Mike has spent his entire career focused on the restaurant industry. Having successfully completed over $25 million in restaurant related transactions, Mike began his investment career in 2009 with the creation of Restaurant Capital Growth Inc. In creating Restaurant Capital Growth Inc., Mike oversaw an investment in Burger Lounge, a San Diego based Fast Casual restaurant chain. Burger Lounge is now an eleven unit chain with locations in Los Angeles and San Diego. In addition to Restaurant Capital, Mike also co-founded Location Matters. Location Matters is a full service Retail Commercial Brokerage with a specialized restaurant leasing and development team. Prior to Location Matters, Mike was employed by Hormel Foods Corporation. While at Hormel Foods, Mike won the Chairman’s Inner Circle Award being recognized as one of the nation’s top foodservice sales representatives. 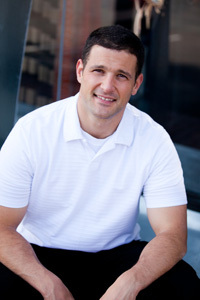 Mike is a graduate of Susquehanna University and received a Bachelor’s degree in Business Administration with a dual emphasis in Finance and Marketing. © 2017 Sweet 100, LLC. All Rights Reserved.